Music Alremas is back on 10971.00MHz, pol.H SR:27500 FEC:5/6 SID:5230 after a break ( PID:5232/5233 - Clear). Music Alremas has left 10971.00MHz, pol.H (DVB-S SID:5230 PID:5232/5233), it is no longer transmitted by satellite in Europe. New FEC for Music Alremas on 11610.00MHz, pol.V: FEC:5/6 ( SR:1480 SID:257 PID:257[MPEG-4]/258 Arabic - Clear). 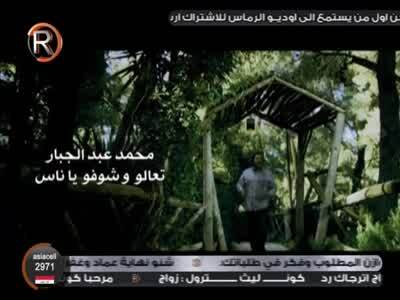 New SID for Music Alremas on 11610.00MHz, pol.V FEC:3/4 SR:1480: SID:768 ( PID:5376[MPEG-4]/5377 Arabic - Clear). New frequency for Music Alremas: 11610.00MHz, pol.V (DVB-S2 SR:1480 FEC:3/4 SID:20768 PID:5376[MPEG-4]/5377 Arabic- Clear). Music Alremas switched to Eutelsat 3B satellite at 11620.00MHz, pol.H (DVB-S , 11620.00MHz, pol.H SR:27500 FEC:3/4 PID:1131/1123 Arabic). New frequency for Music Alremas: 11470.00MHz, pol.V (DVB-S SR:27500 FEC:3/4 SID:4012 PID:1131/1123 Arabic- Clear). New frequency for Music Alremas: 11679.57MHz, pol.H (DVB-S SR:27500 FEC:3/4 SID:501 PID:711/712 Arabic- Clear). New frequency for Music Alremas: 11137.00MHz, pol.H (DVB-S SR:22000 FEC:1/2 SID:9 PID:521/1289 Arabic- Clear). A new channel has started in DVB-S Clear: Music Alremas (undefined) on 11391.87MHz, pol.V SR:27500 FEC:3/4 SID:7019 PID:1419/2419 Arabic.